I attended a seminar held at SEDEC by Caritas on the 30th. I went for it because it showed that the government is keen to engage with civil society on the issues spotlighted in the LLRC report. The Keynote speaker was to be Mr. Anura Dissanayake, the Additional Secretary to the President who is the official in charge of implementing the LLRC recommendations. He however did not attend and instead Dr Chandradasa of the Presidential Secretariat addressed the gathering. Dr Chandradasa pointed out that he is a Presidential adviser on a different subject but had come to the rescue of the organizers. He showed slides which displayed the various recommendation of the LLRC Report, how their implementation had been entrusted to different Ministries and progress in the implementation. He promised to make available this document to the participants. He said that the LLRC Report has been translated into Sinhala and Tamil and are posted on the presidential websites www.presidentsoffice.gov.lk and on www.priu.gov.lk. Since the report is valuable to promote reconciliation is it not necessary for it to be printed and distributed to the people? After all the reconciliation requires that the two communities know what happened and what was wrong with the way that the country was then governed. But the first priority is to accept the collective guilt for the past sufferings endured by both communities. The Tamil people suffered in 1983 from the failure of the State under President J.R. J to protect them from marauders and the Sinhalese suffered from the terrible atrocities carried out by the LTTE. Both communities and their leaders must accept the guilt. Interestingly Mr. Sumanthiran who responded to the keynote speaker stated that the Tamil National Alliance was not averse to tending a public apology. The LTTE did resort to brutal crimes not only against Sinhalese civilians but also against Tamil leaders and intellectuals like Neelan Tiruchelvam, Lakshman Kadirgamar, Ketheeswaran and many others. The TNA was silent then for fear of the LTTE. But it is time for the TNA to admit that their silence in the face of the savage and brutal killings of the LTTE deserves a public apology from them. Similarly the Sinhalese political leaders of today deserve to acknowledge their predecessors failure to protect the lives of the Tamil civilians who suffered in 1983 and before when they resorted to Sayagraha. Both political parties – the SLFP and the UNP were guilty. Even the British colonial ruler did not resort to the use of State violence against the Satyagrahis in India. So as suggested by the LLRC the leaders of both communities have to tender public apologies- the Sinhalese political and civil society leaders for the injustices perpetrated on the Tamils from 1956 onwards and the Tamil political leaders for the crimes of tithe LTTE. Who will take the initiative? Perhaps the Buddhist hierarchy could as part of an Inter-Religious Council start such a process to draft a collective apology. Perhaps it could even be a joint document prepared by a broad front of Sinhalese political parties and the TNA. Whatever happened in the last stage of the war could be left out since there is no agreement about them. Perhaps the TNA and the Opposition political party groups could get together to work out mutual apologies on behalf of the two communities. The allegations against the Army during the last stage of the war are denied by the authorities. I as a Sinhalese would like to believe that no such crimes took place. Similarly the Tamils would prefer to believe that such crimes were in fact committed by the Army. Even if we ignore the International Community we still need a credible investigation into the allegations and a domestic Commission with power and credibility may be appointed to determine the truth as suggested by the LLRC which pleaded that they could not do so themselves. The truth must necessarily lie in between what is believed by the Tamils and what is believed by the Sinhalese. Apart from the question of accountability the truth would have to be determined as a necessary pre-condition for reconciliation. Since the LTTE also committed crimes during the war including crimes against the Muslims as a community it is not possible for any party to plead innocence. So after the truth is ascertained there could be an agreed amnesty for all those who committed crimes during the period of the war. What business has the Caritas got other than assist people. This is a arm of the catholic church spreading poison and interfering in Sri Lanka affairs. Caritas is another poison planted in sri Lanka. I am not defending LTTE. It looks like Mr Sumanthiran knows more about the killing of LK. 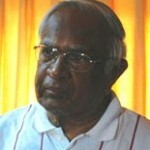 https://www.colombotelegraph.com/index.php/lakshman-kadirgamar-the-father-i-remember/ and another on CT , I came to the conclusion that LTTE did not murder LK. It was some one else responcible for the murder of LK. There is an urgent need to break the ice of mutual distrust, that is hindering progress towards national reconciliation and nation building. I hope your wise words , combined with the sentiments expressed by Mr. Sivathasan on the need for an accelerated development thrust in the north and east, will ring bells in the right places. So Mr Sumanathiran is not averse to an apology? Would even thousand apologies bring back the lives of 32 Buddhist Monks, hundreds of innocent Womem , including lactating ones, their kiddies, grandmas and papapas,in remote rural villages, and hundreds of innocent parents who were at work trying to earn a quid to put food on the table?. It will be a start if Mr Sunanthiran can get his boss Sambandan to apologize to Sonia Gabdhi , and her two children for the untimely death of her beloved husband and father. Then follow it with another apology for the Muslim community that he is trying to con now , for the dastardly act of mowing down and hacking three hundred innocent mem and youth who were on their knees. I usually agree to that everything you see are perceptions, but some are much closer to reality. To my understanding, for most of Sinhalese it is just a belief what had happened in North-East in final stages and before. I stayed three days in NadunKani (in between Vavuniya and Mulathive) with my RDA Engineer cousin last year. From what I see around that area, I believe for Tamils lived in that are, what happened was not a just belief but it is what they saw and experienced. If you see size of holes in the remaining houses in that area, you will realize, Tamils belief or their perception of what they saw or experienced is very closed to reality..
Anura, it is not about damage to house and property. Were Tamil civilians being killed by the Army during the time you spent in Nedunkerni? The suggestions in this article are the ones that need to be implemented. Has the present government of Sri Lanka, especially the President and his brothers have the guts and the leadership to follow these steps? I do not see that either the TNA or any other minority organizations will have any issue in following the actions they need to take as suggested in this article. What we need in Sri Lanka today is “LEADERSHIP”! I agree with Park that there is an issue of leadership. Tamils have many educated intellectuals but they are divided and speak differently. Perhaps this is the legacy of the LTTE and war where many of the moderate leaders were killed. Can one dynamic and visionary leader step forth to cast aside parochial politics and work with the govt to uplift the Tamil people in the North? Talking politics and aligning with the different parties has resulted in a deadlock. Perhaps Mr Sumanthiran can suit this role.